Wishing everyone a very Merry Christmas! May your day be filled with family, friends, good spirit, and yummy food. We're spending the holiday with my husband's parents in Chicago with mine flying up from Hawaii. There's sadly no snow on the ground, but it's a nice crisp wintery day nonetheless, which along with family makes it feel Christmasy enough. Today's card goes along with my (apparently unrequited) love of snow. This might be my favorite snowman from the Winter Frolic cartridge. 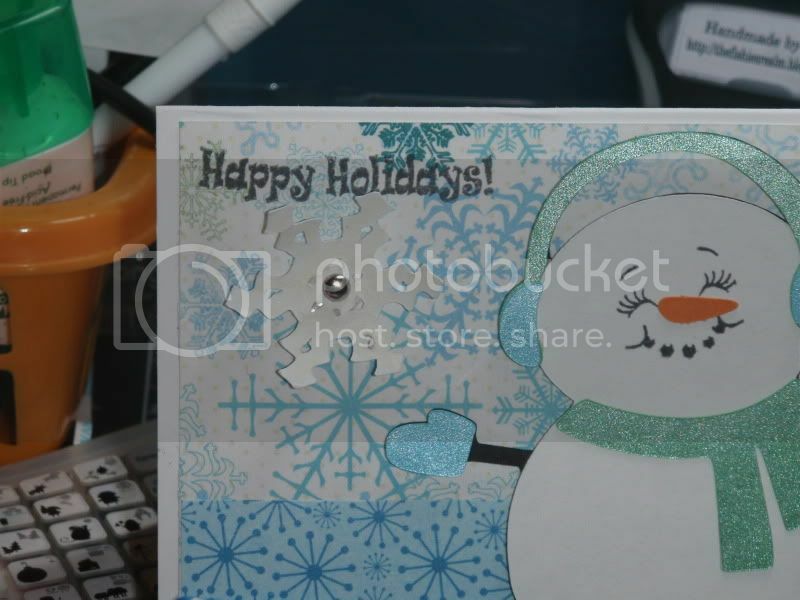 I also used a stamp from Tanner's (aka Mr. Cricut Crazy) Christmas, Christmas stamp set. 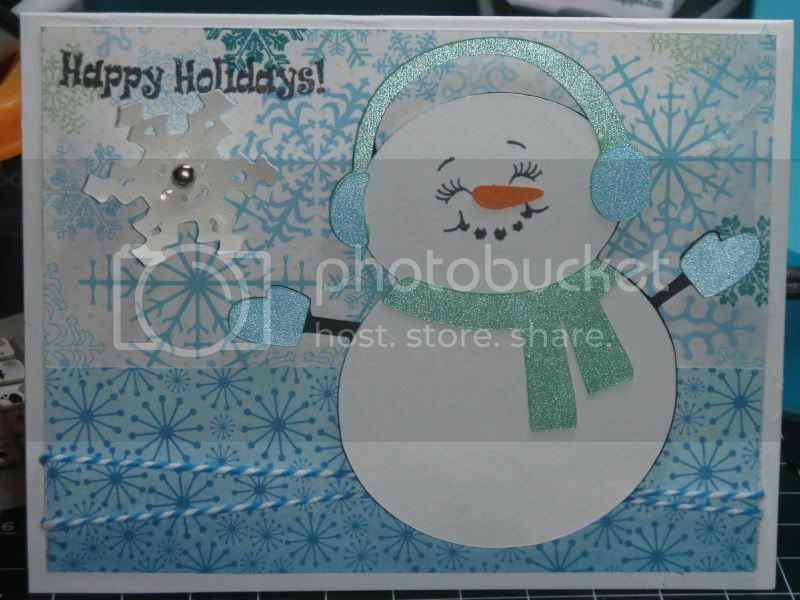 Cute snowman card. Hope you had a very Merry Christmas.